Happy Friday night, dear readers! This post is going up so much later than I planned, but my sweet, darling, little angels decided to give me their sickness, and I am finally feeling well enough to emerge from my blanket cocoon to do a little bit of writing. I'm still feeling under the weather, so I'm going to jump into the post and head back to bed. 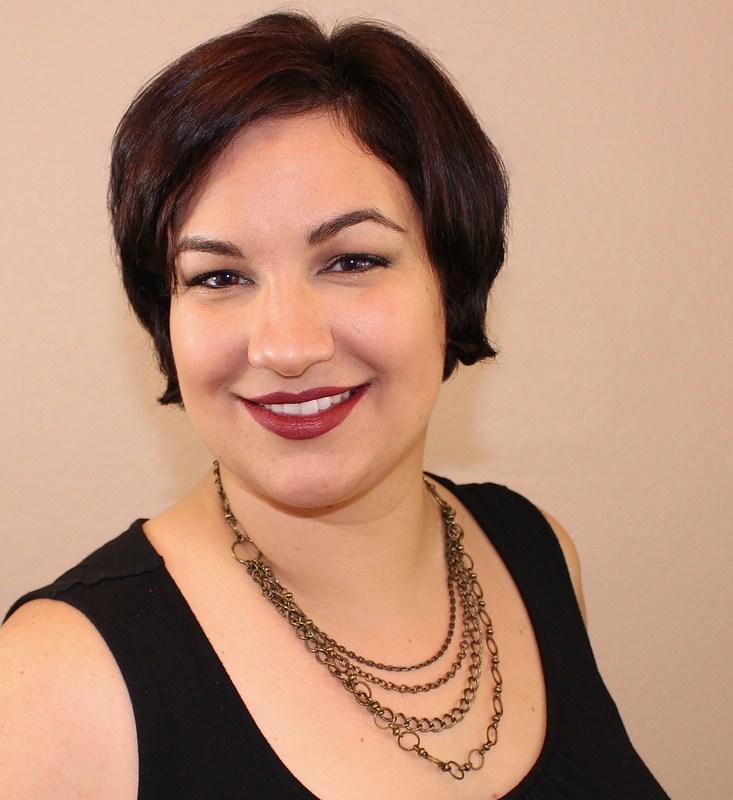 I was contacted by the lovely Joy of Joy Lacquer and asked if I wanted to play with a few of her creme polishes from her newest Winter 2016 collection, The Dictionary of Obscure Sorrows. I've been spending more time doing traditional nail polish swatches than nail art lately, so I jumped on the opportunity to get to create. Joy sent me three shades; here is the look I created with them! n. the desire to hold on to time as it passes, like trying to keep your grip on a rock in the middle of a river, feeling the weight of the current against your chest while your elders float on downstream, calling over the roar of the rapids, "Just let go- it's okay- let go." n. the moment of realization that your quintessential future self isn't ever going to show up, which forces the role to fall upon the understudy, the gawky kid for whom nothing is easy, who spent years mouthing their lines in the wings before being shoved into the glare of your life, which is already well into its second act. n. a feast celebrated on the day of your 26th birthday, which marks the point at which your youth finally expires as a valid excuse- when you must begin harvesting your crops, even if they've barely taken root- and the point at which the days will begin to feel shorter as they pass, until even the pollen in the air reminds you of the coming snow. My most recent nail art has been with stamping, but I really wanted to test out these cremes with water marbling. I've always had such mixed experiences with water marbling, and I am thrilled to report that these cremes were a dream come true! Each polish drop spread out beautifully over the water, and I was able to drag my fancy little toothpick tool over the colours to create so many gorgeous patterns with very minimal effort. I pulled different marbled aspects into my nails to create my final nail art look. I really loved the pinwheel pattern from my middle finger, and it inspired me to add a little bit of stamping to the look. Using the same three shades from the collection, I used the little spiral pattern from the UberChic Itty Bitty Icons Uber Mini Plate to add the final touch to my nails. All three of these shades stamped beautifully for me as well! I love when I find creme polishes that work well both with water marbling and stamping, and I am so excited about this collection! I have to admit I found the collection theme unusual, and I wanted to include Joy's thoughts on the theme selection. I stumbled upon a few unique words from The Dictionary of Obscure Sorrows several years ago. The definitions of Sonder and Xeno were among the first few that really stuck with me. When it came time to create my first creme collection, I knew the colors would be rich and wintery but pretty straightforward, being cremes. By using these DOOS definitions as names, it felt like the descriptions gave them a bit more depth. I do realize this theme seems a bit morose, but each of these definitions stood out to me, in a non-sorrowful way! Although the words are not widely used, once you read them, you might also relate to the sentiment. In case you're interested, here is the link to the website full of made up words for feelings and notions that we were all familiar with, but could never describe. The Joy Lacquer Dictionary of Obscure Sorrows collection consists of eight creme shades that launched for purchase today. Each bottle is listed for $9. By purchasing all eight colours, you can save $1 of each by using the code "dictionarycremes" at check out. They can be purchased on the Joy Lacquer website located here. Between the fabulous formulas of these three shades and the gorgeous colours, I know I'm excited about the rest of them! Will you be picking up any of the cremes from Joy Lacquer's Dictionary of Obscure Sorrows Winter Creme Collection? I'd love to hear what your top choices are! I love what you did with these! Beautiful colors too. I love these Joy Lacquer shades! It's nice to know they water marble well. I love the theme for these. Your marble came out absolutely beautifully! I love that you did stamping on these too, it really brings it together! I love what you don with these polishes, but the white and green looks great together! This mani is beautiful! Love those swirls! I keep looking, and I keep seeing it differently. I love hoe you didn't do a traditional marble. These are so unique. So pretty, I really like the abstract/illusionary look you did! Great marble! I love the idea behind this collection. 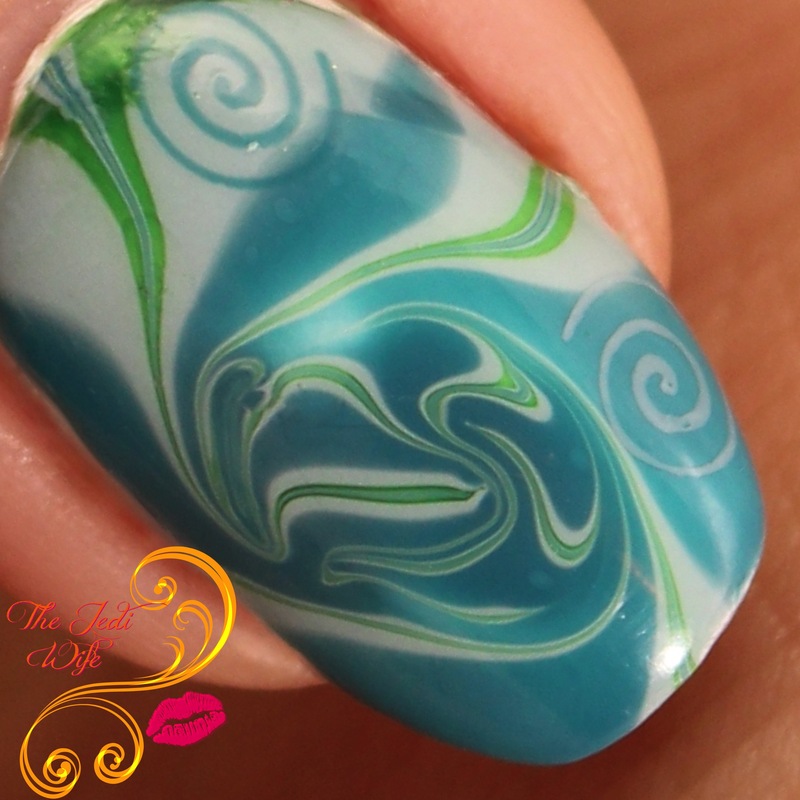 I love the added swirls on the marble swirls!